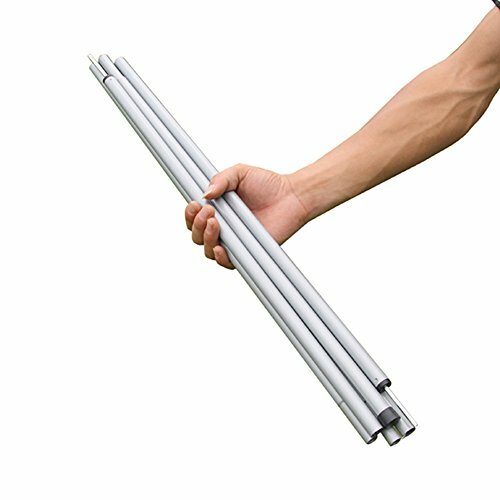 This poles fit for tent headroom, sun canopy porchis, tarp, tarpalin, beach shelter and other awning. ● Three section separation design make it can be used as 113 cm or 170 cm. ● Stainless steel joint spring make the connection stable. ● You don't need any instruction when use it. ● Provide an extra storage bag. Adjustable Design: It can be used as 113cm or 170cm. Easy Assemble and Disassemble: for assembly, you just need press the spring and push in, for disassembly, you just need to pull it. Stable: With strong stainless steel spring joint the pole is stale, not easy shaking and falling off. Portable: With a storage bag, you can easy take it anywhere. If you have any questions about this product by Top Lander, contact us by completing and submitting the form below. If you are looking for a specif part number, please include it with your message.